Social media has proven itself able to generate amazing marketing results that few of the traditional marketing sources can compete with. What’s more, it has proven that it is able to generate results within an array of different metrics. Not just that it can drive sales. This is also why different brands use social media for different reasons. Some brands use social media as a communication tool, some for customer service, and others solely to increase brand awareness. But the truth is that no matter if you’re just focusing on one metric, you’re most likely generating results within several marketing metrics at once. Okay, so you’re investing all this time, energy, and resources into social media marketing. But how do you know if it is actually driving any results? How do you know if your social media marketing efforts lead to more sales, increased brand awareness, or improved customer loyalty? How do you know it is generating a positive ROI for your brand? As a marketer, you’re always looking to see if what you are doing actually drives any results. And social media is no different. You need to be able to prove how your marketing efforts on social media are contributing to your marketing goals, and that is exactly what we’re looking at in this article. In this complete guide, we’re looking at how you can measure the ROI of social media marketing. Measuring social media ROI is hard? There’s a misconception that it isn’t possible to measure the ROI of social media marketing, but that is just not true. In fact, there are several different ways you can measure the ROI of social media marketing – some easier than others. But the fact is that social media marketing and measuring results are quite debated topics because it doesn’t give you clear results which tell you “this is the exact results you’ve generated”. This is also the reason why some marketers still debate that social media marketing isn’t effective, just like they said that the internet was a fad. And if you are someone who argues that because you haven’t been able to drive results worthwhile, it is probably because you haven’t used it in the right way. (read beginners guide to social media marketing). Okay, so enough of that. The reason you want to measure the ROI of social media is simple. Because really, it is the same reason you want to measure results with all of your marketing efforts. Do your efforts work? Why/why not? Which of our marketing efforts generates best results? Why? What isn’t working that well? Why? And you want to do this to be able to see if what you are doing is actually benefiting you, and stop doing the activities that aren’t benefiting you, and focus on the activities that do. But when it comes to measuring the ROI of social media, it is clearly something that marketers struggle with. In fact, in a survey, 41% of companies said they had no idea whether or not their social media efforts were actually paying off. 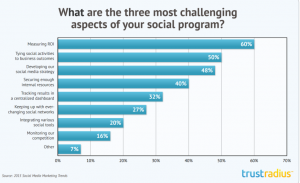 Moreover, 60 percent of respondents reported that measuring the ROI of social media was the biggest challenge. At the same time, social media spend by brands is at an all-time high. According to the CMO Survey, social media spending increased 234 percent from 2009 to 2017, accounting for 11.7 percent of total marketing budgets. So technically, brands are spending money on social media without really knowing the ROI of it. An important for measuring the ROI of social media is that marketers like to measure tangible things, and while a lot of metrics can be measured by looking at things like follower count, engagement, shares, there are some metrics that demand more deep-dive and research. And it’s no different for social media because, in the study, 80 percent of survey respondents indicated that “engagement” — likes, shares, comments, followers, etc — were the most important metrics for their social programs. Some people believe that social media ROI is solely measured by the sales it drives – and therefore the money it generates for your business, but this is far from the whole truth. Instead, social media ROI is the results of all your social media marketing efforts that bring you value. For different brands, it can mean different things. This is also why the definition can mean different things to different brands. For instance, a brand that is focusing on driving sales might also improve their customer relationships on the way with the help of social media, and in that case, it is important that you evaluate both the ROI of cash generated, but also how valuable those relationships are. Maybe they’ll lead to more customer loyalty and even customers who will return many times over. If you don’t, you’re not getting the whole picture, and therefore don’t realize how valuable social media marketing really is. But at the same time, realize that the marketing benefits outside of your objectives are just by-results, but still, results that shouldn’t be neglected. If you’ve set objectives for your marketing, you want to look at the results within the objectives you’ve set in first hand, though. If you, for instance, want to measure the ROI in terms of sales, the formula for doing so is simple. Just divide your profit with the total investment, which includes things like ad budget, time spent, and other things invested. But where it gets tricky is when you think about the fact that ROI can’t always be measured in cold hard cash. For instance, what is a relationship worth? Chances are, it’s worth a lot, maybe it can even lead to a lifelong partner, and maybe it can lead to them promoting your brand solely for free, but measuring that is difficult. If your goal is to increase brand awareness, you’d obviously look at other metrics rather than revenue, right? But all of these things rely on the fact that you need to set goals. It’s difficult to measure the ROI of social media if you haven’t set any goals. Having set objectives allow you to know what metric you should look at, and if you’ve achieved the goal you’ve set. When setting goals, it’s important that they are quantifiable, because otherwise, it will be impossible to measure them. There’s a huge difference between ”we want to increase brand awareness” and ”we want to reach 100k people and make them aware of our brand’s existence”, right? Some metrics are easier to measure than others but don’t shy away from setting goals just because you know they’re difficult to measure. Something that you need to acknowledge is the fact that there’s a difference between marketing goals and social media goals. For instance, your goal might be to increase brand awareness, but your goal shouldn’t be to increase your social shares, just because social shares helps you achieve that goal. Not only does setting goals allow you to measure the ROI of social media, but it also helps you stay on track with activities that help you reach your goals. There’s no point in having goals if you’re now working toward them, right? Everyone is skeptical towards things that cannot prove that they’re beneficial, and this is an important part of why you need to be measuring results. If you have people in your organization that are hesitant towards social media, nothing speaks more clearly than numbers. Without further ado, let’s look at the ways you can measure your social media ROI on. 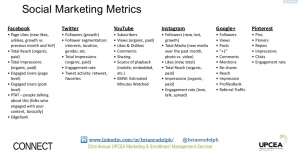 There are loads of metrics you can dig into who you’ve worked with social media marketing. And if you’ve used social media correctly, there are probably lots of positive results there. But in order to do so, you need to know how you’re going to tackle them. Vanity metrics, helpful or unnecessary? The single most common metrics that marketers look at in order to measure their social media ROI is so-called vanity metrics. This is things like followers, likes, comments, etc. These metrics are right in front of your nose. The problem, however, is that a lot of marketers stop there. They look at their follower count and say ”awesome, we have acquired 5K new followers!”. But the thing is, a metric like that is just a small part of the bigger picture. Now, I am not saying that you should completely neglect vanity metrics, but you need to understand that they’re just a part of the large scheme of things. 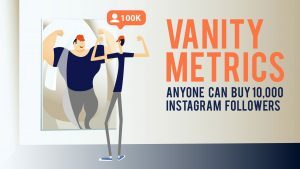 By looking at vanity metrics on social media, you can get a great understanding of things like how you’re standing up to your competitors, how great of an interest there seems to be in your business (and niche), but also how well you’re performing overall. A ”like” for example, tells us that people enjoyed the post, but it doesn’t tell us too much about anything else. Instead, you can dig into other social media metrics that go a little deeper, but that is often more helpful in telling us the real ROI of social media. Remember that I mentioned you need to set objectives before you dig into social media marketing? Well, an important reason for that is that it helps you measure results more easily. Because when you’ve set goals, this is obviously the first thing you want to measure when you’re going to measure the ROI of social media. You know what goals you have set. Now it’s just up to you to see if you’ve actually reached them. When you re going to measure the ROI of social media, it can be overwhelming. So many metrics, and so many things to measure. The answer is: where you began. A surefire way to measure result is by using Google Analytics. There are several ways you can do this on. But doing it is dependent on the goals you have set. The reason why having goals is important is that the way you set up your analytics is dependent on them. Different goals will demand you to set up your measuring through Google Analytics differently. To do this, begin by going to Google Analytics. Now, go to your Google Analytics dashboard, then click on Acquisition, Social, and lastly Conversions. Google Analytics will ask you to set up goals if you haven’t already. For example, if your goal is to increase your newsletter subscribers, you need to create a particular page which people come to once they’ve completed the process as a result of your social media marketing. You also have to ensure that the page is not indexed in Google, because otherwise, there’s a risk that people will come to it from different places than your social media and thereby skew your results, giving you faulty results. When using Google Analytics, what you’re essentially doing is making a destination URL, on which when people land there, it results in a conversion in Google’s eyes, resulting in a conversion in the analytics, which you can see later when evaluating the results. 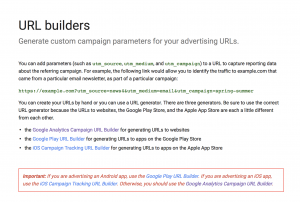 But remember, if you’re going to use Google Analytics, you have to use your website as a landing page, and this is why not all metrics can be evaluated using this method. In order to be able to calculate the ROI of social media, we first need to measure the cost of social media. Because ROI is calculated by dividing cost with results. And since far from all metrics can be measured in dollars and cents, you might have to estimate a value of the results generated within those metrics in order to get your ROI. The most obvious expense you have is the cold-hard money you invest, for example in things like Instagram ads, Facebook ads, or influencers. Measuring this expense is super easy as the money spent is clearly presented in your ad manager. Staff and hours spent. It’s impossible to generate results with social media if nobody is working to generate results, right? If you have an in-house social media manager (or several), the cost of those has to be included in the equation. If you have hired external social media managers, you have to factor in the cost of them. When measuring this, however, you want to look at the man-hours that go into a specific social media marketing campaign, limited to a specified period of time. Next, you want to factor the cost of content creation. If the individuals that manager your social media also managers your content creation, you obviously don’t have to measure it again, but if you have an individual person or a group of people who work with content creation, you should measure this. Lastly, you want to measure the cost of any social media tools you are using. There are several social media tools, whether it be a scheduling tool or analytics tool (more on that later) and if you’re paying for those, you definitely want to factor them in. Something that is crucial to remember is that social media takes time. Everything that is worthwhile does. This is why you shouldn’t be upset if the ROI of your social media efforts are negative after just a few months. If all you’re doing is invest money into social media advertising, and not having an own social media presence, then, the preconditions will be different, but at the same time, if you don’t have a social media presence, you won’t be able to measure all of the other metrics that I am talking about in this article. If you want, you can segment the cost of social media for each social media platform, but when it comes to segmenting individual campaigns, it may or may not be tricky to do. There are plenty of social media tools out there that allow you to measure different parts of your social media results, some cheap, some expensive, some only for certain platform, and so on. This tool allows you to measure the ROI of your social media across paid, owned, and earned social channels. Its goal is to provide marketers with tangible data, which in some cases can be difficult to measure otherwise. With the help of this tool, you can measure conversions by social channel, and ultimately, Improve performance by analyzing content, spend, and conversions. Facebook Pixels is a piece of code that you place on your website which allows you to track results coming from Facebook ads. Not only can you measure sales, but you can also measure things like leads, and different types of conversions. This tool gives you the opportunity to add a short text code to a URL, which helps you track important data about website visitors and traffic sources. It works seamlessly with tools like Google Analytics so it can provide you with a detailed description of your social media results and ROI. As I touched briefly upon earlier, it’s important to factor in things that aren’t providing direct results from social media. This also includes things that you haven’t set as your goals. What I mean by that is that it is easy to get blinded by the metrics you’ve set as goals, because obviously, these are the things you want to focus on when measuring the ROI. But you also have to realize that if you’re only looking at the metrics you’ve set as goals, you’re not seeing just how beneficial social media is to your brand. Moreover, you also want to have in mind that there are things on social media that might not lead to direct results that are visible directly, or even visible as results of social media. For instance, if you’re paying huge money to get promoted by a celebrity, you have to understand that there are a lot more benefits to it than just direct sales. And this is a mistake that I see marketers do every now and then. They count pennies and dollars to see how much sales the influencer has generated after a few days. But they don’t think about the immense exposure they got, and most importantly, the brand building from the fact that they were promoted by a celebrity which people trust. I am sure that if you think about it, you can come up with several celebrities which you associate with different brands. And that association is an incredible way of building your reputation, but it is also very hard, if not impossible to measure. The bottom line is that there is probably more to your social media ROI than you are able to measure. This is the way of measuring results of social media which is most popular. That is because it is also the easiest way to measure your social media results. I am obviously talking about the most obvious metrics such as comments, likes, followers, and so on. As mentioned earlier, there’s nothing wrong with looking at the so-called vanity metrics, but you have to understand what they truly mean. Too many marketers just look at their follower count and say ”this is the ROI of our social media efforts” but they’re clearly missing the point. Instead, you need to ask yourself, what does this metric mean, and what does it mean to us as a brand? Take follower count for instance. Everyone wants to grow their following on social media these days. And what’s worst is that they want to build it without knowing why. You’d be surprised at how many people who say ”because it looks good and makes us look popular”. But what does having a lot of followers on social media do? It allows you to get a direct channel between you and your audience so you can impact them over and over. Which, in turn, can lead to conversions. It can also lead to increased brand awareness. Well, when your audience leaves comments on your social media posts, they engage with you. This shows that they’re willing to engage and want you to respond. And what this does is it gives you the opportunity to engage and interact with them. And what this helps them to is build their relationship with you. And when they do, they also increase their trust and loyalty in you. Which, in turn, leads to sales. It might not do it immediately, but eventually. All successful marketing efforts ultimately lead to sales, but you cannot expect to go from A to Z instantly. You have to go past A, B, C, D, E… first. This is why it’s important to understand that a lot of your social media marketing efforts takes your customers through your sales funnel, but you need to realize what a lot of your efforts help you do is get them further down the funnel, not necessarily all the way through it instantly. This is also a reason why generating noticeable results on social media takes time. If you want to access this information, you can either use the built-in analytic tools that are available on some of the major social media platforms, such as Facebook Analytics or Instagram Insights. You can also use third-party social media analytic tools such as Sproutsocial or Hootsuite. The built-in analytic tools that are available are generally very good, but if you want more information and more thorough reports, third-party analytic tools can give you a better insight into what results you’re generating on social media. 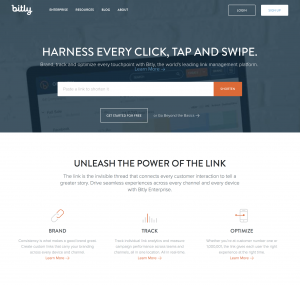 There are several tools, such as Bit.ly, click meter, or link track, which allows you to track the people who click on your links that you promote on social media, and ultimately come to your website. Through the built-in analytic tools on social media, you can see the number of people who click on your links, but you cannot see what happens then, and if that link click leads to a conversion. Therefore, using link trackers is a great idea if you have conversions as your goal with social media. These tools allow you to track your customer’s experience on every link and every channel, making it easier than ever to drill down into campaigns or channels from a macro and micro level. As you could see from my example above, all marketing metrics eventually lead to sales. The difference between them is just when they lead to sales, if they all lead to returning customers. As a result, you want to try to measure the lifetime value of your audience, and what value different social media metrics has. For instance, having 100K followers on social media is completely pointless if those followers aren’t doing anything for your brand. It is what those followers mean to you that is interesting. 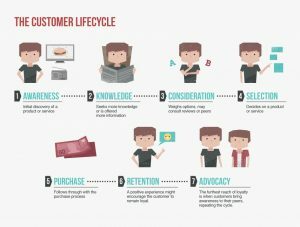 To really get a full understanding of how beneficial social media marketing is for you, you need to measure the lifetime value of a customer. Generally, when you’re running a campaign, you’re only looking at the sales that were driven instantly, but what about the fact that some of those people will become returning customers? In order to do this, you need to understand the Lifetime value of your customers, on average. You also want to measure what different actions are worth. For instance, if you notice that 50 percent of the people who download your app make in-app purchases for $20, then each app-download is worth $10. And if you then factor in how many people continues to make in-app purchases, that number will obviously be higher. Measuring the ROI of social media is tricky, but with the right tools, and knowing what metrics to look at, it can be done! When you know what you’re actually looking for, it become a lot easier to find it. And this is where a lot of marketers struggle. And ultimately, they blame social media and say that it isn’t something worth paying attention to. While the real truth is the that they use don’t know how to use it properly – or more correctly, how to evaluate social media ROI.